Humans have a tendency to cover up. With shawls and coats and jackets. Hats and sunglasses and sunscreen. 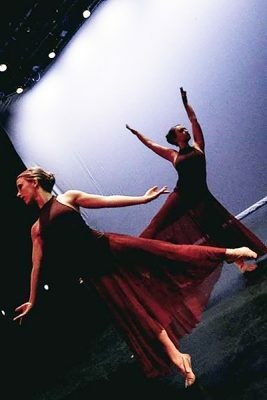 The concert, to be presented by the Ethington Dance Ensemble at 7:30 p.m. Friday and Saturday and 2 p.m. Sunday at Ethington Theatre, “will expose the raw beauty of dance,” College of Fine Arts and Production Dance Director Susannah Keita writes in her program notes. The idea is to expose all sides of the human experience — the dances in the show converged around the theme of being uncovered but diverged stylistically and in artistic interpretation. It’s what almost 50 dancers and 10 choreographers will do, taking the audience through 11 dances that will span emotions and styles and, as Keita said, the human experience. Work on the Winter Dance Concert started even before the semester started. 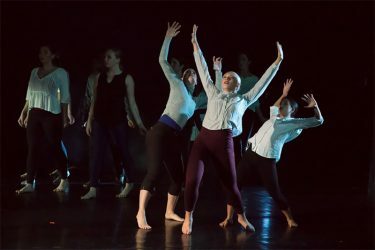 For the first time, the department organized a presemester residency with Miguel Perez, who worked with students on technique and artistry and also choreographed a piece called “The Novel” for the concert. 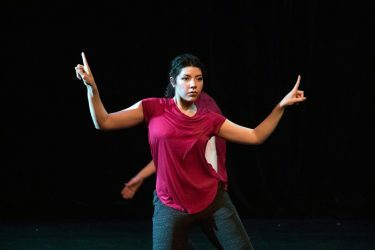 The work will spotlight a dancer breaking out of her old self, then being manipulated and taken in different directions before going back to being herself and realizing: “That is enough,” Perez said. Yet, she added, it’s also a complex, layered piece by the choreographer, who has worked with Celine Dion, Donnie and Marie Osmond, and Cirque du Soleil in his career. “It’s sculptural, in a sense, with very clear floor patterns and precise lines,” Keita said. The Arizona Republic in November recognized Tucson-based Montoya on the Who’s Next in Arts List. “Uprooted” expresses something different for each dancer, Keita writes in her program notes, as they try to figure out not only where they are going but where they came from. Keita knew she wanted to work with GCU dance faculty choreographer Leanne Schmidt, known for her comedic improvisational work, after hearing the songs “Scissors, Paper, Stone” by Skeewiff and Stephen Gray, and “Black Venom” by The Budos Band. In faculty choreographer Alicia Nascimento’s “Resistance and Solidarity,” performed to “Serendipity March” by Kangding Ray, “The Prevailing Wind” by Yasume and “Data.Matrix” by Ryoji Ikeda, dancers will look as if they’re walking on the wall. 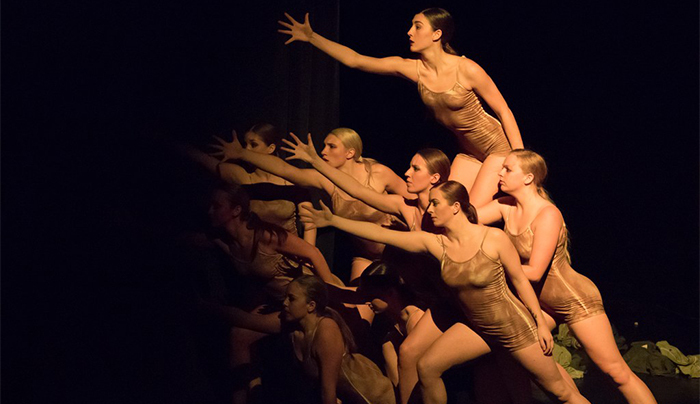 A cast of 20 dancers will bring to the stage dance faculty Angel Crissman’s piece, “increased exponentially.” What’s neat about the work is it emulates the infinity illusion, where an infinite number of the same image is infinitely repeated through the use of mirrors. Tickets: $12. Can be purchased and reserved through Ethington Theatre Box Office. General admission also can be purchased online here. Discounted tickets are available for seniors, military, GCU and GCE employees, GCU alumni, children 12 years and younger and GCU students.